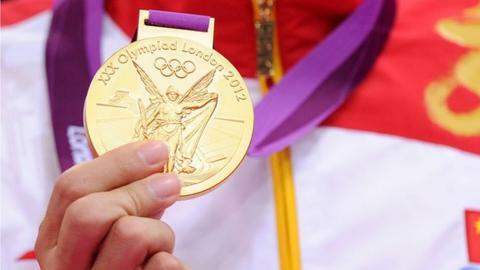 Russia has the potential to turn around London 2012 after a disappointing opening 12 days to the Olympics. After finishing third in the medals table behind China and the United States at Beijing four years ago, Russia are fifth this time. But there are a number of events they hope will propel them closer to their 2008 haul of 23 gold medals. They hope to repeat their individual and team success in the rhythmic gymnastics led by World and Olympic champion Evgeniya Kanaeva. Russia are extremely strong in freestyle wrestling where 11 golds are available. Dzhamal Otarsultanov and Besik Kudukhov are the strongest candidates in the men's 55kg and 60kg categories respectively but Russia hope to challenge strongly in each weight division. Russia also have four semi-finalists in the men's boxing and two in the women's. They also hope for more success in the athletics after their 4x100m women's relay team won gold in Beijing, although that was because the highly-fancied USA and Jamaica teams botched handovers.